Introducing support for Apple’s new iOS 6 software ahead of its release in the coming weeks, Spotify has pushed live another update to its iPhone and iPad apps, adding a new playlist sorting option, a more welcoming start screen and a number of navigation improvements on your Apple device. In the new iPad update, Spotify has added a new ‘Sort’ button which sits next to the search bar inside each of your playlists. 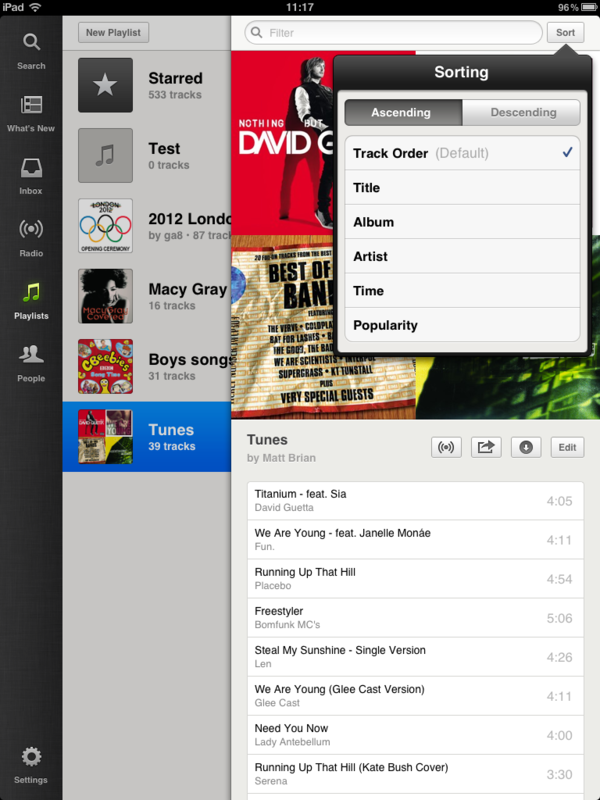 The feature will group tracks by track, album, artist, time and even popularity. Friend search has also been added, allowing you to pinpoint your friends’ profile and tracks. 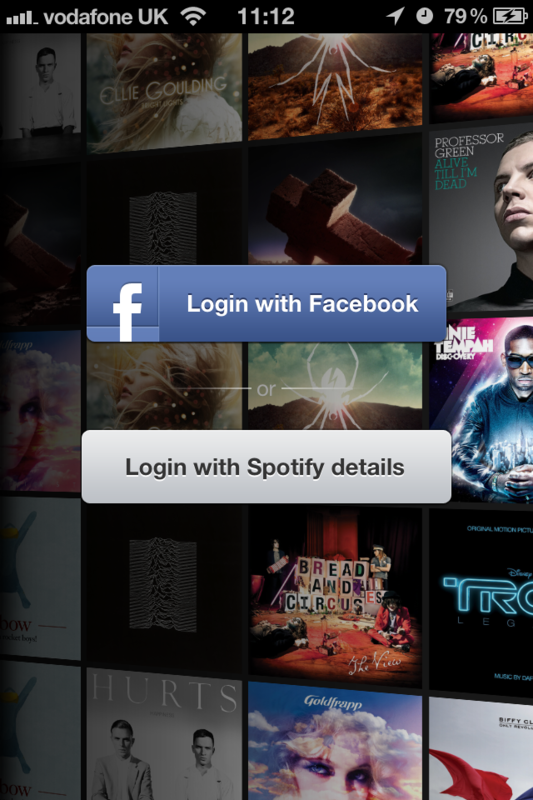 For first time iPhone users, the login screen has been refreshed to mimic its iPad counterpart, utilising the ‘artist wall’ background and rounded login buttons. 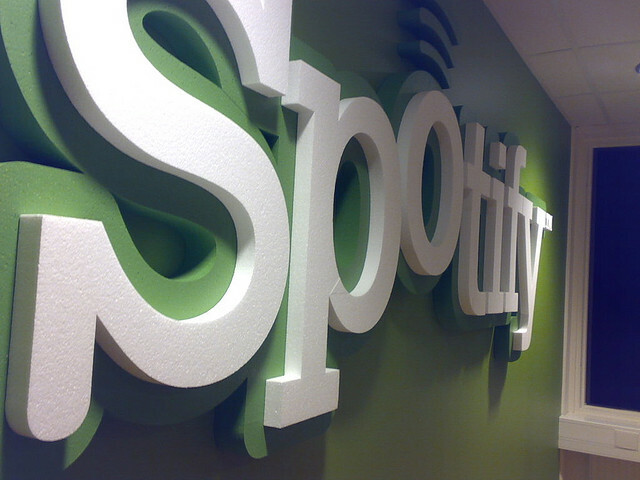 In an effort to make its settings a bit easier on the eye and easier to navigate, Spotify now groups options depending on the category they belong to and the Pandora-busting Radio feature has been given a speed boost, loading quicker when launched. The app continues to be a free download but requires a premium subscription in order to make the most of the new features described above.